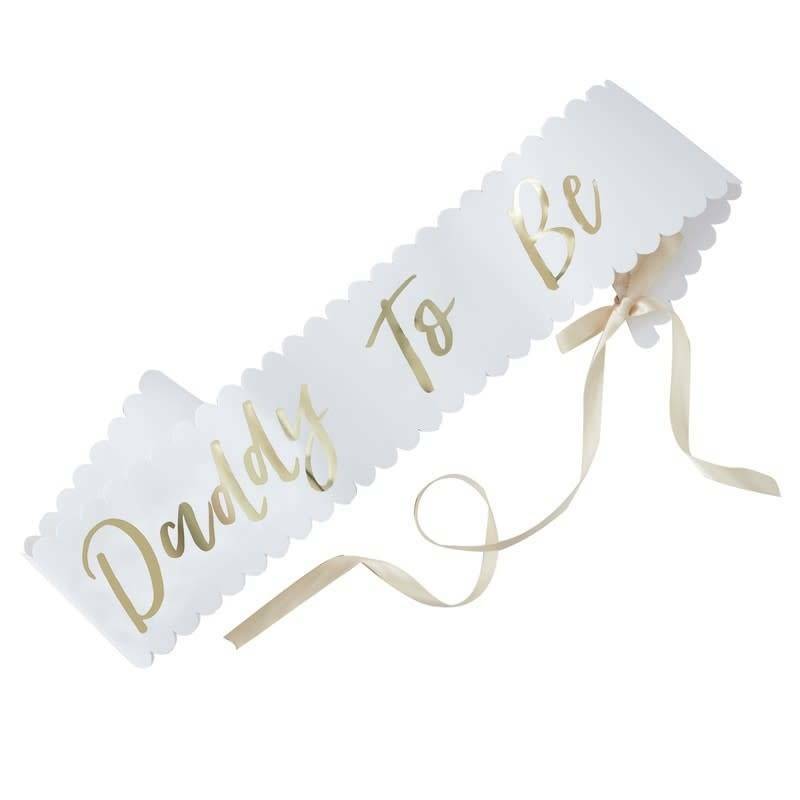 Every daddy to be needs our gorgeous 'Daddy To Be' sash at his baby shower. Our stunning white and gold foiled sash will shine away making the daddy to be feel extra special at this beautiful time. 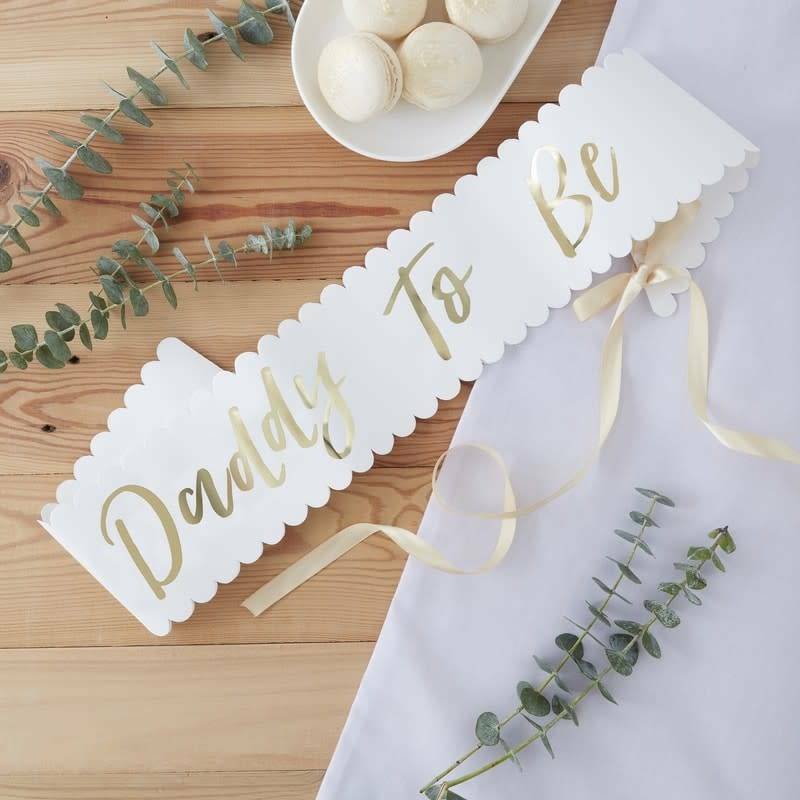 Our daddy to be sash has beautiful gold scripted foiled writing saying 'Daddy To Be' on a white soft paper background. A cute finishing touch for making special memories.